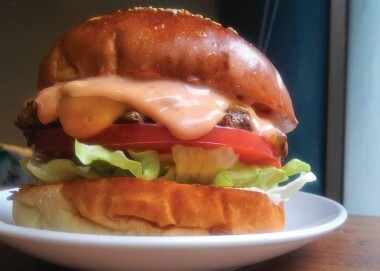 Metropolis gives you the lowdown on the best burger joints in Tokyo. From Donald Trump’s favorite feed to some hidden gems. Faithful to the U.S. right down to the imported paint, Arms’ wooden decor is opened out to the park during summer months. And the space is newly renovated—almost twice as large as before! 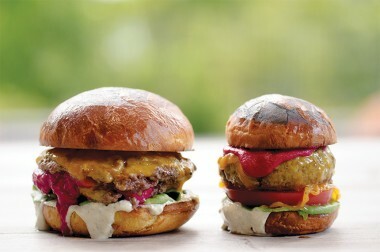 Enjoy light, fluffy patties served with minced toppings, and a bun made with natural yeast. The Avocado Mushroom Cheese Burger (¥1,393) and the spinach-stuffed Popeye Burger (¥1,188) are top picks, and you can even grab a burger to go from Arms Park Side, conveniently located right by Yoyogi Park. Come and enjoy your burger with a perfect park view! 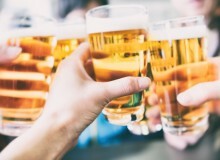 Nab a set drink for ¥216 from 11am to 4pm on weekdays. Brunch Sat, Sun, & hols 8–10:45am. True to its name, Authentic is mostly traditional: each burger is created from fundamentals, with a good balance of basic ingredients. Having celebrated its 10th anniversary last year, Authentic is currently playing with these same fundamentals to develop new burgers. 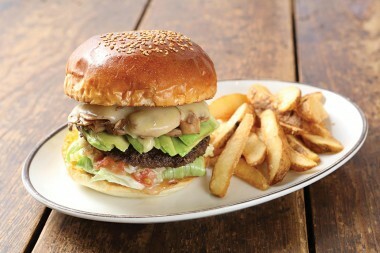 Aside from their basic lineup, one popular variation is the Broccoli Cheeseburger (¥1,325). There’s also the Red Hot Garlic Burger (very hot and a lot of garlic in there) (¥1,350) and the Bacon Cheeseburger (¥1,325). 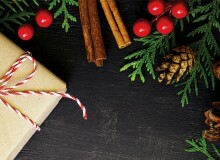 Enjoy their special lunch-only salads (numbers limited) and also drink discounts during lunch: soft drinks are only ¥190 and there is a ¥100 discount on alcoholic beverages. Metropolis readers will receive double their French fry order. 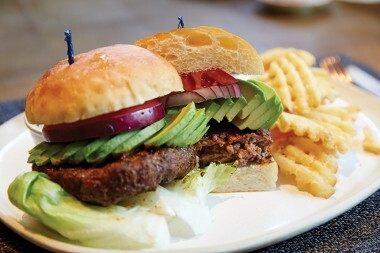 With a concept of relaxed, casual dining, CRISTA serves up one of the classiest burgers in town. The decor has a classic atmosphere with leather, greenery and charming wooden walls. The pride and joy of TYSONS & COMPANY, CRISTA is a firm believer in a people oriented philosophy, so you can expect excellent service from highly talented staff. If you’re coming by at lunchtime, don’t miss the signature CRISTA burger complete with freshly ground Prime American beef, ¥2,200/170g on weekdays and ¥2,800/200g on weekends, served with mouth-watering waffle fries. 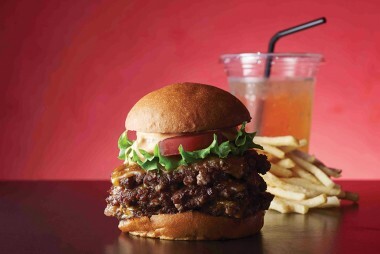 Since opening shop in 2007, The Great Burger Harajuku has built quite a following. In an average month, 12,000 happy diners visit the venerable burger spot. Perhaps the secret to their success lies with their faithfulness to the flavors of classic American diner foods, best exemplified by such favorites as the Bacon Cheese Burger, served with french fries. Of course, it doesn’t hurt to have hip decor, and everything from the small knick-knacks to the tattooed servers at The Great Burger exudes a certain Southern California cool. With a good range of Japanese craft beers, The Great Burger is also a great spot to grab casual drinks when you’re in Harajuku. The Great Burger Stand is an offshoot of the renowned purveyor of burgers from Harajuku, The Great Burger. The Burger Stand is situated at the newly-opened Brick End “yokocho” at Ebisu Garden Place, which features five chic bars and eateries. 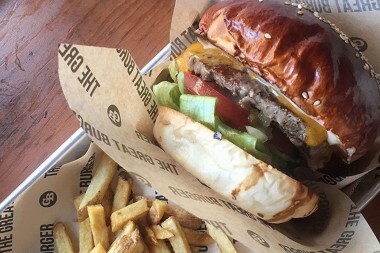 As at the original location, The Great Burger Stand serves up truly mouth-watering feasts such as the Hickory Burger, which is doused in smoked hickory sauce and served with fries. 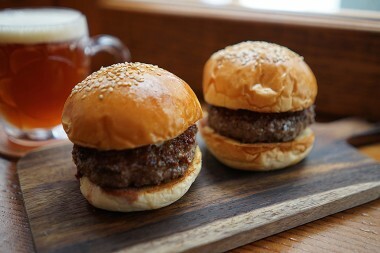 Besides the burger menu, there’s also snackable treats like fresh oysters and wagyu sliders that perfectly complement an ice-cold Yebisu amber ale, making The Great Burger Stand the perfect place for both satisfying meals and casual drinks. Henry’s Burger is the place to go if you take your meat seriously. Restauranteur Kentaro Nakahara made a name for himself in the yakiniku industry and has familiarized himself with the highest-quality Wagyu beef. 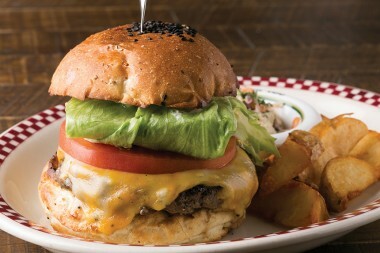 His recent foray into the burger world, with the Henry’s Burger Daikanyama and Henry’s Burger Akihabara, carries on his dedication to using the best beef. Nakahara hand-selects his A5-rank Kuroge Wagyu cattle and uses a specialized grill to create the perfect patty. The beef is topped with only green leaf, tomato and cheese so that you can fully enjoy the taste and texture of the juicy meat. 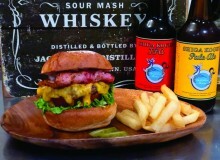 Henry’s Burger also offers beers as well as red and white wines that pair well with the Wagyu beef. When Donald Trump came to Tokyo, he shared some meaty goodness from Munch’s Burger Shack with Shinzo Abe. Using high-quality U.S. beef, Munch’s has come a long way since its start as a food truck way back in 2006. Its store near Tamachi Station has some amazing toppings such as bacon and an array of fine cheese including cheddar, mozzarella and gouda. 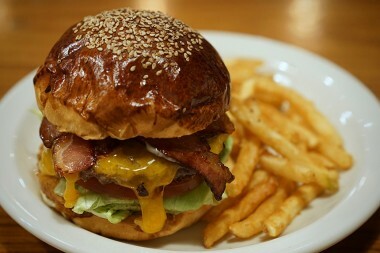 The interior is an homage to NYC diners and the extensive menu also includes some culinary beauties such as fried chicken, shakes, clam chowder – all perfect as accompaniments to its weighty bacon cheeseburger which comes in at a respectable ¥1,500.Free organic iced tea for those who follow Munch’s on social media apps. Designed by renowned designer Tony Chi, The Oak Door steakhouse that just underwent a renewal of its interior as well as an enhancement of its menu, offers perfectly cooked dishes ranging from the juicy tomahawk steak to the monthly burger selection, all prepared on the new dual charcoal grill and finished in the broiler oven that reaches over 900°C. Savor gourmet creations such as The Oak Door Burger—which comes in small (130g) and regular (220g)—as well as a range of seasonal burgers. 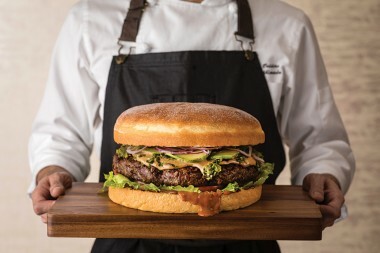 In celebration of Grand Hyatt Tokyo’s 15-year anniversary, The Oak Door will serve up a dynamic giant burger with a 1.5 kg (3.3 lb) beef patty during April and May. Perfect to share with a group, this burger will satisfy even the biggest appetites. If you are looking for a classic steakhouse with a modern twist, head to Ruby Jack’s Steakhouse & Bar where you’ll find a variety of steaks, meats, seafood and seasonal vegetables all prepared under the dutiful supervision of owner chef, Matthew Crabbe. The BIG JACK BURGER (¥2,900 for lunch set/¥2,100 from the bar bites menu) is two char-grilled cheddar melted 100 percent black Angus beef patties, beetroot puree, special jalapeno tartar sauce, fresh lettuce, all on a home-baked branded brioche bun. You can enjoy toppings like fried free range egg, avocado and crispy bacon. The BIG JACK’s little brother The LITTLE JACK (¥2,300 for lunch set/¥1,500 from the bar bites menu) is a smaller version with the same punch! TGI Fridays, the quintessentially American casual dining restaurant, opened its first location in New York back in 1965. 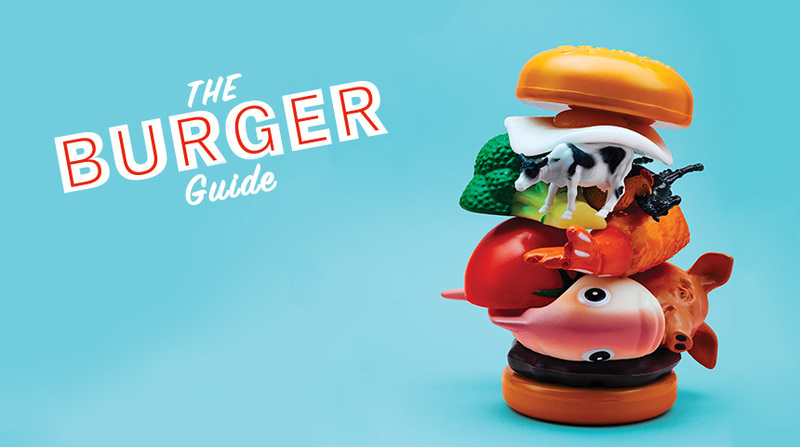 Since then, the restaurant chain has expanded its operation to 60 countries and now boasts over 900 franchises, and at each location, you can count on one thing: having a quality burger. 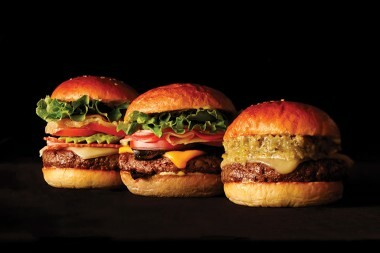 The burgers are made with a special brioche bun and their 100 percent beef patties are hefty at 200 grams. 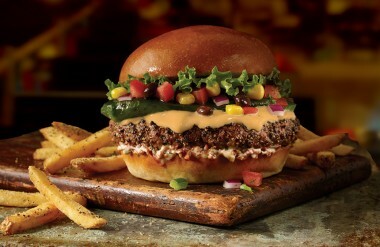 For those looking for a spice kick, the new Big Mex Burger, which uses a whole jalapeno as topping, is sure to satisfy cravings. With regular happy hours and performances by bartenders (made famous in the 1988 film Cocktail), TGI Fridays is more than just a burger joint. Victor Bergeron, better known as “Trader Vic”, is the founder of the international restaurant chain and also the inventor of the world famous “Mai Tai”. Vic was a world traveler and a refined bartender who fell head over heels for the Polynesian spirit and island lifestyle. With the aim of taking home beautiful salt-water beaches and breezy palm trees, Vic introduced the taste and feel of tropical paradise into meticulously concocted cocktails and creating an original fusion cuisine famous worldwide at the Tiki haven Trader Vic’s since 1934. At Trader Vic’s Tokyo you will find Victor’s passion for the islands in the specially prepared Optimum Burger, Santa-Fe Burger, and Tokyo Burger (half-pound umami-filled patty of 100% Kuroge Wagyu beef). Indulge on a specially selected menu during happy hour, 5:30pm to 7:30pm on any day of the week.